solar cookers, the simple solution to a host of complex challenges? Solar cookers could not be more simple in many ways, their basic means of operation catches the suns rays and uses this heat to cook food. Some use aluminium coated plastic to do this while others other means to achieve the same effect. Either way, the opportunities afforded by solar cookers go far beyond household cooking, particularly in parts of the world experiencing a multitude of complex social, economic and environmental issues. The impact of solar cooker technology resonates most profoundly in Kenya and Sudan. According to Lift Up Africa women and girls in areas of sub-saharan Africa spend up to six hours every day searching for water and wood for cooking. This is likely to increase as the growing population demands more from dwindling biomass sources, and water supplies become more scarce due to the effects of climate change in the region. In addition to these factors, one of the leading causes of death in Sub Saharan Africa is air pollution as a result of cooking with biomass indoors. So, potentially, solar cookers could be an integral part of the solution to a number of intricate and serious challenges faced every day by millions of people and could liberate millions of women and girls from time consuming and often dangerous tasks, that act as barriers to receiving an education. I have to admit, as somebody who has spent most of my life in the cold upper northern hemisphere, I find it pretty amazing that these solar cookers can actually cook food using no energy source other than the sun. Considering that in June this year signposts in Arizona melted and cacti wilted as temperatures reached 119 degrees, a trend that is certain to continue, perhaps solar cookers will become a feature in many parts of the world in the not so distant future. 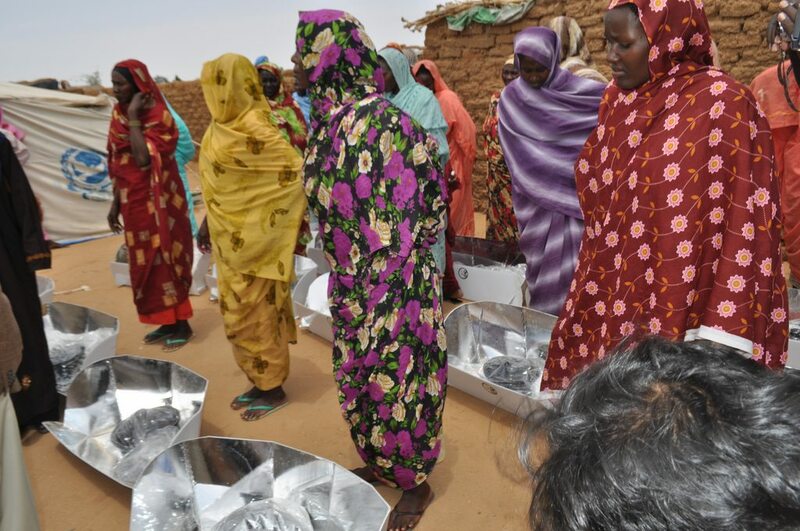 Lightweight solar cookers designed with refugees in Darfur in mind start for as little as $30, but it’s possible to spend hundreds of dollars on high-tech versions. All models come with a ‘no-bills guarantee’. “get your hand dirty and learn from the best!” in washington.